QAD offers a unique solution for remanufacturers that includes full-featured QAD Cloud ERP and related capabilities which help remanufacturers adapt to changing business conditions, improve forecast accuracy, drive operational efficiency and improve Delivery In Full On Time (DIFOT), all while meeting their customers’ demands for quality, genealogy and serialized tracking. Remanufacturers may be independent or work as an authorized agent of an OEM. The asset core flow into a remanufacturer can be via the asset end-user or via independent source. Component parts, other supplemental material and MRO materials are consumed during the remanufacturing process. 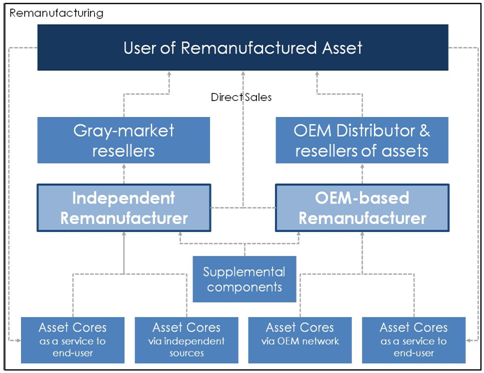 Remanufactured assets sell via gray market resellers or through the channels of the original OEM. Key capabilities include collaborative production management, demand planning, supply chain execution, quality management and global financials. These and other capabilities help remanufacturers control supporting processes, reduce risk and modernize operations that align with business strategy. Remanufacturing is based on a coordinated process of core receipt, core evaluation, material acquisition unique to that core, operational planning and ultimately production tracking and accounting. Based on the diverse range of core permutations and conditions, remanufacturing requires unprecedented system flexibility. Dynamic production processes, coordinated supply chain planning systems, execution systems and IT infrastructure flexibility are key contributors to successful remanufacturing and delivery of revitalized equipment. Remanufacturing is most often done in relatively low volumes and each production order may even be associated with a single returning core. The production process includes a fair amount of manual movement of the material between manual assembly processes that often requires product and production order specific work instructions. All this processing becomes more complicated based on the corresponding sophistication of remanufactured product. Products may include multiple electronic subsystems, hydraulic, pneumatic or mechanical motion subsystems. The production orders often require the kitting of components and frequently require both mechanical and electrical integrity checks as part of the processing. The accurate identification and tracking of the components of the disassembled core and the associated replacement components is imperative for the efficient and effective delivery on each production order. 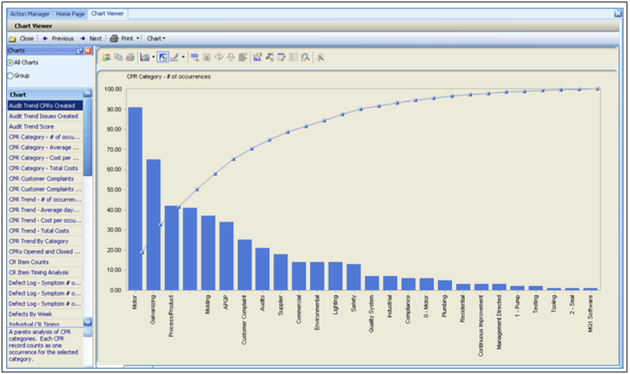 The complexity of the BOM and the potentially high level of variation require a sophisticated integrated approach to planning and execution functions. Remanufacturers closely monitor specific operational metrics and expect performance that allows them to differentiate. 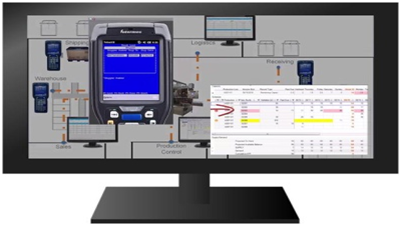 Key metrics include DIFOT, Capacity Utilization, Production Downtime, Work-in-Process Levels, Unit Costing and Reduced Manufacturing Cycle Time. Product complexity and associated product revision levels drive the requirement for unit level, electronic serialization needed by remanufacturers. While driven by the expectations of their customers, remanufacturers are also committed to the business benefit that can come with better visibility and overall operational improvement. The QAD Item Level Serialization solution addresses remanufacturers’ robust material traceability requirements. 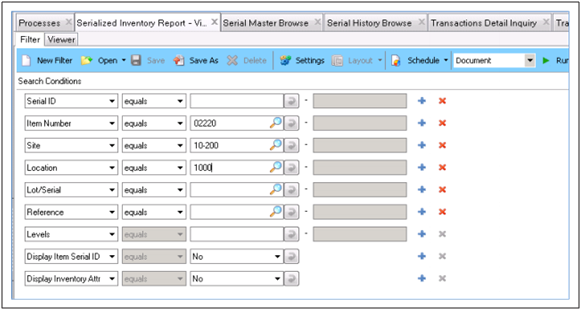 Traceability can extend to final assemblies tied to subassemblies or lot identifiers for sourced components or unique core identifiers. Information about products and inventory movements stored in each of these logistic units are all captured and accessible through a serial ID. Quality control in a remanufacturing environment is an integral part of the operation. Remanufacturers typically have electrical and other system inspections at varying stages of the assembly process to assure satisfactory functionality before additional handling and incremental value-add operations. QAD QMS further supports the integration of quality planning efforts whether through formal APQP or other manufacturer-developed standard operating procedures. QAD QMS supports the management of quality information in terms of both specifications and supporting documentation. This integration allows remanufacturers to integrate related process data, automate required business processes and comply with design and customer specifications. QAD Automation Solutions improves manufacturers’ material transactional effectiveness by aligning ERP with material processes. QAD Automation Solutions includes two primary capabilities. Label Printing Services route and print labels associated with material and production transactions based on manufacturer, supplier and customer formats and rules. The services support any label format and any printer and are GS1 and 2D compliant. For more information on how the QAD Remanufacturing solution can help your company, please contact QAD at +1-805-566-6100 or email info@qad.com.